Which kind of goat curry? B&D is that other end of Alfrieda Street than that at which we usually start our St Albans adventures – but it’s worth the enjoyable walk. 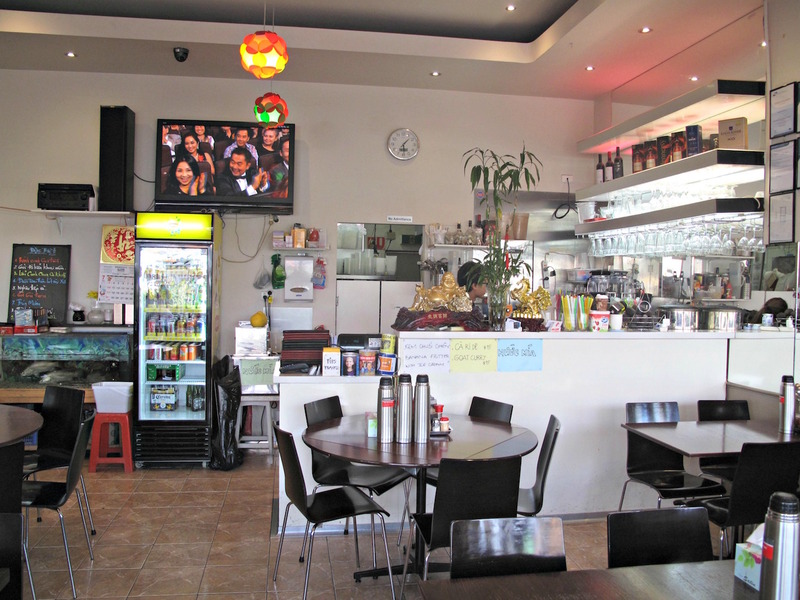 It’s a typical Vietnamese restaurant – friendly, good service, long menu, popular. As ever our eyes are drawn to the photos and hand-written signs that adorn the walls and wall mirrors. Wow – goat curry and goat curry! When I ask which is recommended, I’m told to go for the regular ca ri de ($15). 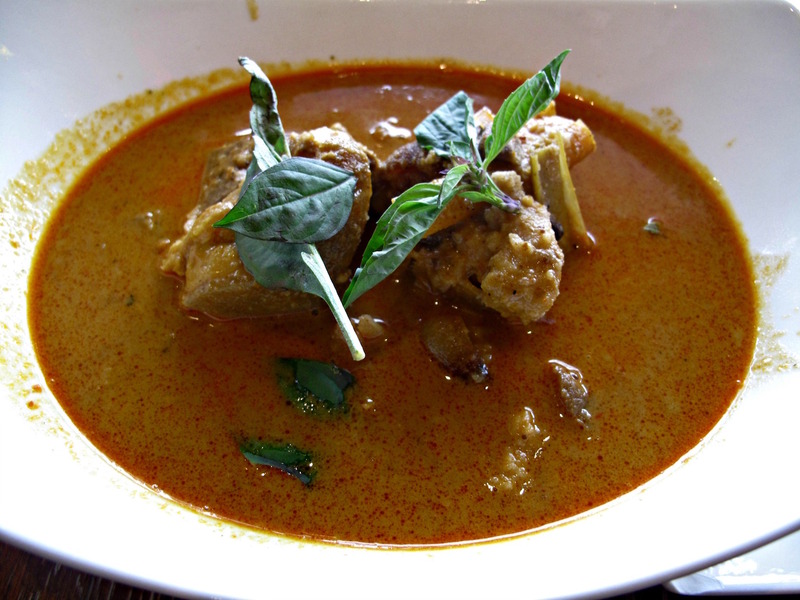 What we receive is a rich, mild curry dish that almost seems in the Malaysian tradition. The meat is OK but is on-the-bone fiddly. And there is a lot skin. Normally I’d be fine with that, but in this case it’s of a rubberiness that is unappealing so we put it aside. Balancing that is quite a lot of bread-like substance I at first take to be dumplings of some sort but am eventually informed is taro. It meshes with the curry gravy just right. Observing the many different kinds of dishes being consumed around us and reading the menu, we feel a tad overwhelmed and lazy – so we order exactly what we desire. Will I ever tire of eating pho? Will I ever tire of writing about pho? In this case, our brisket/sliced beef version is a doozy. The brisket is fatty but wonderful; the sliced beef, thicker than in most places, is succulent. There is a hefty amount of both, putting the $10 price tag in the true bargain category. The broth is slightly sweet but fine. And the accompanying greenery and sprouts are of good, fresh quality.